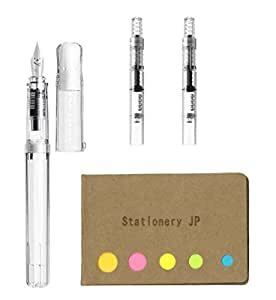 Set contains 1 x Pilot Kakuno Fountain Pen, Extra Fine Nib, Non Color Body + 2 x Pilot Fountain Pen Converter, CON-40 + 1 x Compact 5-color Sticky Notes. 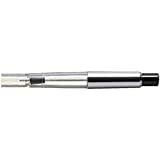 Pilot Kakuno Fountain Pen, Extra Fine Nib, Non Color Body, FKA-1SR. Mainly this rating is for the seller, not the pen - Pilot Kakuno pens are fantastic, and this is my third one. 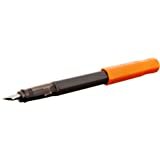 However, when I received this pen, it was not only already opened, it had also clearly been used - the ink cartridge had been put into the pen and left to dry out, and the notepad that was supposed to be included was missing. I'm not too upset about the notepad, but the fact that I bought a pen that I immediately had to clean out was very frustrating. Fabulous little pen, especially for the money! I wanted a fountain pen I don’t have to worry too much about loosing at work (people are always wanting to borrow fountain pens. A surprising number of folks have never seen one) and this certainly fits that bill. But this writes well, a little wet and not at all scratchy. I like the converter too, very smooth. Now if I can just manage to steal it back from the middle schooler... or buy her one of her own! 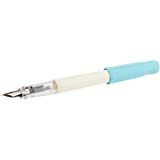 I like the pen a lot and nothing wrong with it if you want an every now and then writer. Great for that. Smooth, feels good in medium hand. 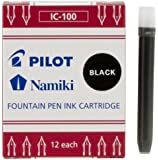 Very small ink reservoir that runs out quickly if you plan on writing daily and you would have to keep filling it up after a few hours of regular use. Gets to be a pain to do that. This Kakuno pen is a delight to write with or draw. The extra fine point writes smoothly and the ink feeds quite well. Being a clear pen it is easy to see how much ink is left. I use the pen for both taking notes and for drawing. Really writes well for the low price. Very pleased and I may buy another. I love this fountain pen, I bought an EF and it’s easy to write, best pen ever!